In the 10 months since the Army implemented an occupational fitness test for potential recruits, injury and drop-out rates are down at basic training, officials said. The Occupational Physical Assessment Test has four events, and a soldier’s score determines which jobs he or she is qualified for. The idea behind it is that if soldiers are tested and categorized based on their Army-related physical abilities before basic training, they are less at risk of getting hurt once they’ve enlisted. “We’re already seeing significant improvement, significant reductions in injuries in initial entry training, which we would expect to translate out into [operational units],” Command Sgt. Maj. Michael Gragg, the top enlisted soldier at the Center for Initial Military Training, said during the annual AUSA meeting in Washington, D.C.
Those reductions in injuries translate into more soldiers who not only make it through basic, but who make it through on their first try, saving the time and money it takes to rehabilitate and recycle them. Soldiers who want to move into a more physically demanding military occupational specialty will soon be required to take a new test. According to Army statistics, since the beginning of this year, injuries in basic combat training have dropped by 17 percent, while injuries in one station unit training — a combination of basic and advanced individual training done by infantry, armor, military police and other specialties — saw a 10 percent drop. On-time graduation rates are also up, statistics found. In basic training. they jumped from about 85 percent to about 93 percent, and at OSUT from 78 percent to 87 percent. However, even though rates are down overall, officials said, the Army is still grappling with basic training injuries. “We’re starting to see a downward trend in attrition, and, in particular, women going to OSUT training,” said Whitfield East, a CIMT research physiologist. Between 58 percent and 62 percent of women, regardless of their OPAT category, are injured in basic training, according to Army statistics. On the other hand, 25 percent to 29 percent of men are injured. Still, for both genders, injury rates tend to be lower and graduation rates higher for those who score the highest on the OPAT. “I think it’s fairly undeniable that the more fit you are, the less you get hurt, and the more likely you’re going to graduate on time,” East said. Still, East added, the early numbers are not conclusive. “I think it’s way too early to declare a victory on the OPAT,” he said. Not only does OPAT weed out potential recruits and officer candidates who aren’t up to occupational physical standards, it also can redirect prospective soldiers who don’t meet the bar for their dream MOS but could still have a career in another field. 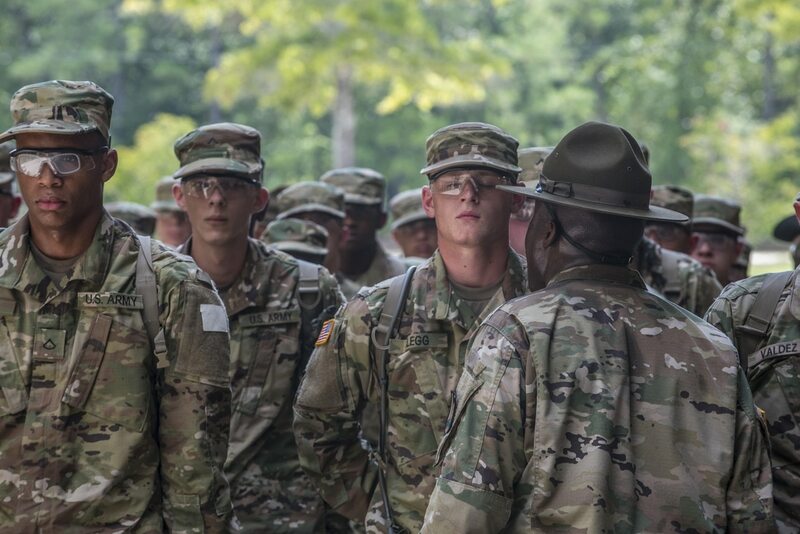 As of the end of September, according to statistics from U.S. Army Recruiting Command, 68,425 recruits passed the OPAT at the necessary level and shipped to training. Another 84 had to renegotiate their contracts to accommodate a lower OPAT bar, and 14 decided to cancel their contracts altogether after failing to meet their desired MOS standard. Despite rigid scoring requirements, the OPAT is not a one-time-only test. “They can take the OPAT each month leading up to shipping, but no matter what, they must have a passing score on record within a 90-day window of shipping to show they are ready,” USAREC spokeswoman Kelli Bland told Army Times. With that rule, 72 percent of potential soldiers met their desired OPAT standard on the first try, while 92 percent passed within their first three attempts.